Home | Brief Family History | Family Tree Outline | Family Pages | Photos | Joshua Slocum | Slocomb Links and Researching Your Family History | Contact Me | . There are a variety of spellings for this name including "Slocomb", "Slocumb", "Slocum", "Slocombe" and others. The name is a place name loosly meaning "Valley where the Sloe Plum grows". 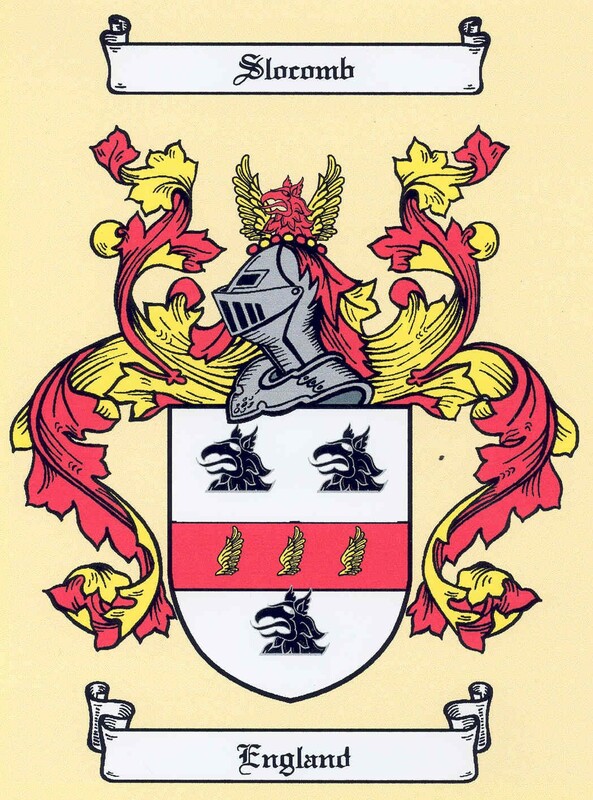 Generally the family name is associated with Sussex, England. Information on Sussex can be found in any number of sources, but one place to start is http://gold.ac.uk/genuki/SSX/. As with many family names a common spelling does not necessarly mean a common relationship. As an example: Joshua Slocum and I have a common male ancestor despite the spelling variation. To confuse things a bit Joshua's father spelled his name "Slocombe"
The best starting place for any genealogical research is with your living relatives. You will need this information to get back to the Slocum/Slocumb/Slocomb family line in volumes I and II of A Short History of the Slocums, Slocumbs and Slocombs of America: Genealogical and Biographical: Embracing Eleven Generations of the First-named Family, From 1637 to 1881: With Their Alliances and the Descendants in the Female Lines as far as Ascertained by Charles Elihu Slocum. The books can be found in many genealogical or historical libraries, but they are also available on line thanks to Google Books. Links to the two volumes are on the Family Tree Outline page above). Te first volume was published about 1885. The second volume (with corrections and new information) was published around 1908. Because of the 1885 and 1908 publishing dates the latest several generations (including anyone reading this) are not included in the volumes; this is why it is critical to start with your living relataves and work backwards until you can find a link in the books. The "Slocomb" section in Volume 1 has focus on the "northern US" branch of the "Slocomb" family tree. Volume 2, in addition to updates to volume 1 has major sections on the "southern US" branch of the tree(George and Robert Slocomb). There are references to the Anthony Slocombe (also spelled Slocumb) family (pg 9-36) of Massaachusetts and North Carolina. There are also several Slocomb lines in each of the volumes that just end; probably because of a lack of family information at the time the book was published. If anyone has information about these, or other lines and would like it listed here just send me the information. There are "Slocomb" and "Slocum" families spread across the world including all with a common ancestor in Simon. There have been reports that books are being written or are ready for publication; at least one book is said to trace Simons' ancestory back several generations, I have yet to find any new Slocomb family book. If anyone knows of new books that are in publication let me know and I'll include the information here. and raised Dexter and Sinister Chiefs. three gold eagle wings in a horizontal pattern. A modern stylised version of the coat of arms. * The top of the shield is flat. 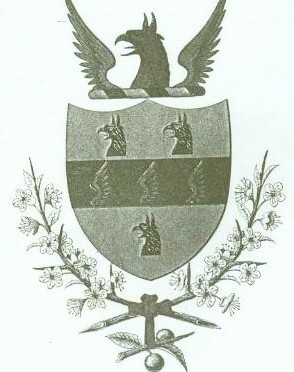 * The crest is replaced with an Esquire helmet, which is topped with a griffin. * A two color mantle, red on one side and gold on the other, rises around the helmet and drapes along the sides of the shield. * The edges and ends of the mantel are cut in a pattern evocative of oak leafs. * Banners would not be part of the Coat of Arms. "Slocomb Links and Researching Your Family History"